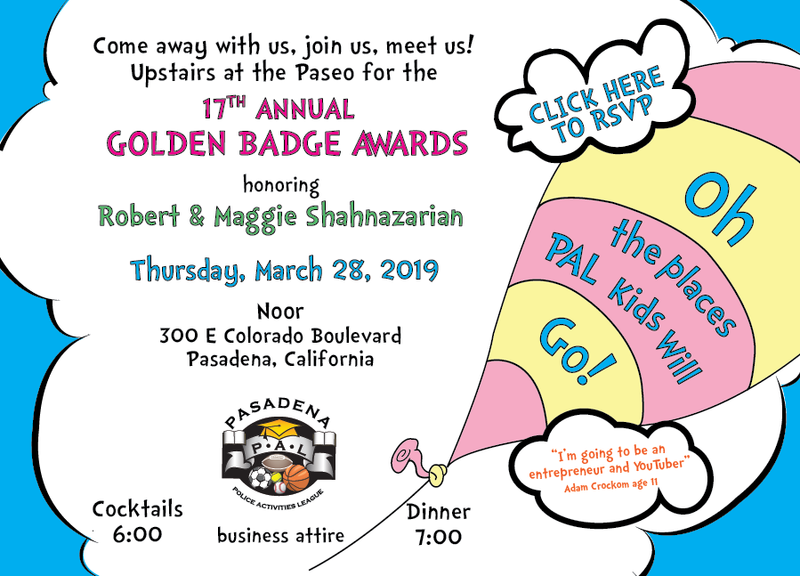 Don't miss the 2019 Golden Badge Awards Dinner! This year’s award will be presented to Robert & Maggie Shahnazarian for being the best of the best in supporting the youth of Pasadena. Please save the date Thursday, March 28, 2019 for this fun event held at Noor in Paseo Colorado. Event details and sponsorship information is below. For any questions, please contact Jill Hawkins at (626) 791-1225 or jill@mhpevents.com. We welcome donations of any amount and appreciate your support! Please email jill@mhpevents.com for underwriting opportunities.